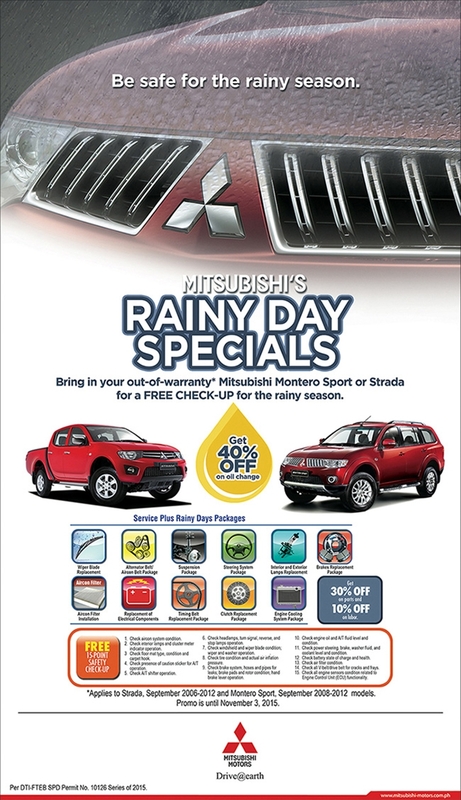 Mitsubishi Motors Philippines Corporation (MMPC) launched its Rainy Day Specials promo. The promo offers free check-up for the Montero Sport and Strada that are already beyond the warranty period. The promo consists of a 15-point check-up that includes inspection of the vehicle’s interior, exterior, and engine compartment. This is to ensure that the vehicles are in top shape and in roadworthy condition especially during this rainy season. Moreover, a 40% discount on oil change (synthetic or mineral) is also offered to customers who want to avail the promo. 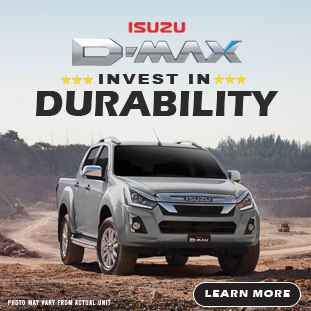 Additional service packages are also offered, which includes alternator belt/aircon belt replacement, timing belt replacement, brakes replacement, clutch replacement, suspension package, interior and exterior lamp replacement, engine cooling system package, steering system package, wiper blade replacement, aircon filter installation, and replacement of electrical components. Customers who want to avail these packages will be given 30% discount for parts and an additional 10% discount for labor. 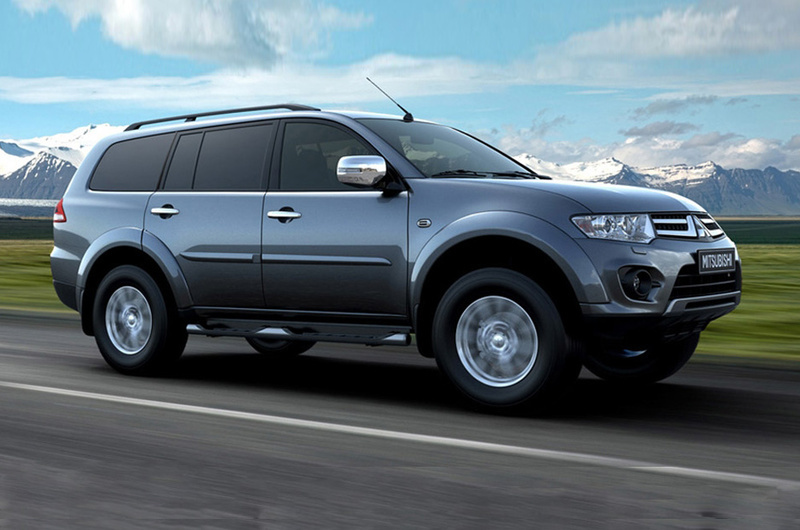 So if you own a Montero Sport sold from September 2008 to December 2012 and a Strada that is sold from September 2006 to December 2012, head towards the nearest Mitsubishi service center. 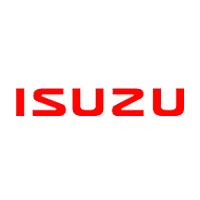 For more details, customers can contact their nearest Mitsubishi service center through the AutoDeal Car Brands page. Promo is until November 3, 2015.